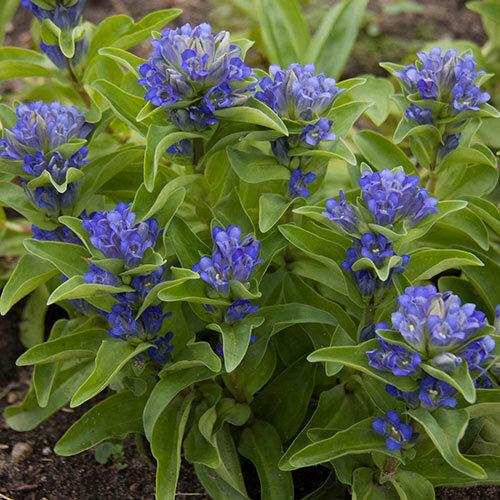 Gardeners love Gentians for their rich blue flowers. They're such a fresh breath of cool color. However, Gentians are generally finicky plants. So the variety we offer is Blue Cross-all that glorious color its genus is known for, on a hardy, tough and drought tolerant plant that deer tend to avoid. It's so easy to grow! The buds start cream, open blue and mature to deep blue, on arching stems. Each cluster is nestled into a cross-section of four grey-green leaves, which led to the name Blue Cross. This plant stays compact, only growing 10" tall, so it's perfect for pots and the front border. It won't require much care or maintenance, but it will require a little patience. This is a slow growing plant. That makes it more manageable if you plant to put it in a pot or front border. Plus, it grows exceptionally strong, tough and beautiful, so it is well worth the wait! Foliage TypeLance-shaped, 3-4" long, medium green leaves. Flower FormVery small, bell-shaped flowers in clusters. Soil RequirementsPrefers average, well-drained soil. PruningPruning is not necessary. Pruning is not necessary. Winter CareNone, except to mulch the first winter. Planting InstructionsDig a hole twice the size of the pot your plant came in. 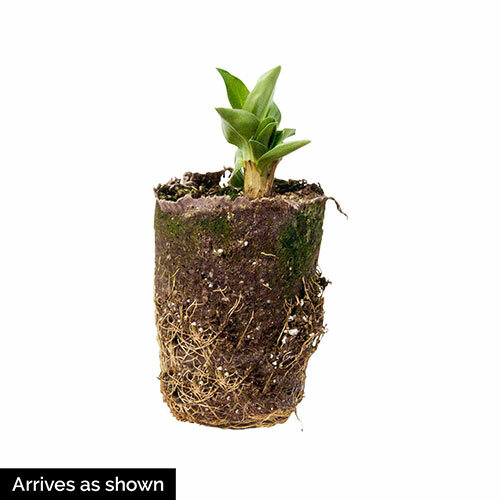 Place the plant in the hole so that the top of the root ball is level with the soil surface, fill in around the root ball with soil, firm soil with your fingers, and water thoroughly.